Thayne and his wife Sheryl moved to Ojai in 1998 seeking an ideal community to raise their four children. The Whipple family has benefitted tremendously from the support of the people of the Ojai Valley and the dedicated educators of the Ojai Unified School District. 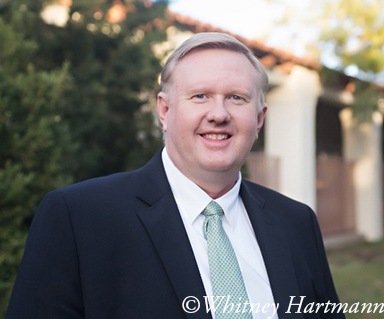 Thayne Whipple is an executive in the payments industry, currently specializing in online digital content. Responsible for over $450 million in public sector securities issues, as Senior Associate at Imperial Securities, Altura Nelson & Company, and owner of Public Funding Group (provided financing for cities, states, school, and special districts, as well as US territories). Managed a portfolio of $30 million consisting of investments in venture capital, mortgages, and real estate, as president of American Real Estate Investments. Provided financial service and payments consulting to Fortune 500 and other public companies, as well as governments including; Bangladesh, Haiti, Malaysia, and the Northern Mariana Islands. Negotiated joint promotion and vendor agreements with large corporate entities including; Compaq, HP, Datacard, Pepsi, Nestle, Hertz, FedEx, DHL, and Philips. For paysafecard responsible for US business development with e-commerce merchants and online payment service providers, with a focus on digital content and games. Books: Ballad of Isaiah, Madrigals of Maternity, and Sonnets by the Seashore. Patent Applications: Hierarchically Applied Rules Engine, andUsing mobile electronic devices to transfer data through dynamically generated scannable barcode images. Having attended Brigham Young University, Brigham Young University – Hawaii, Kensington University, and California State University at Northridge; Thayne is distinguished by earning his BS in Business Administration with an emphasis in Finance and International Economics at age 18 from the University of Southern California.